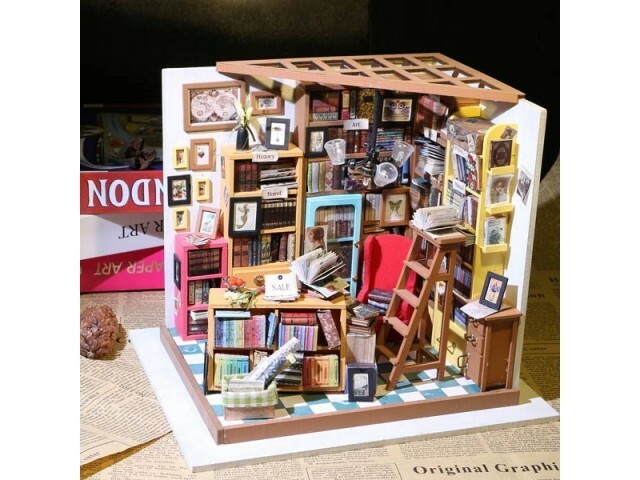 A perfect gift for the creative in your life, a fabulous detailed room diorama to build from scratch. 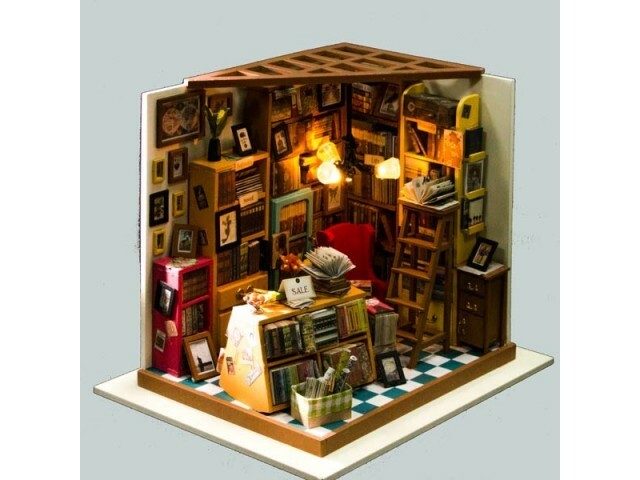 Construct all the furniture, accessories and the Book Shop itself then arrange it just as you want it. Comes with LED light to illuminate your finished room. Construction time about 40 Hours. 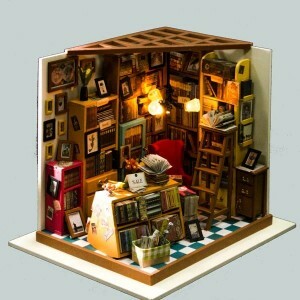 Also available: Art Studio, Kitchen, Greenhouse, Tailors Shop and Sitting Room.